Have you ever found a recipe for something and it looks so good and then you try to make it, and it tastes good, but looks nothing like the pictures? That’s happened to me more often than I’d like to admit, and even though it tastes good, I still consider it a failure. One of those things used to be french fries. I could never get them to look like fries; they always looked more like wedges. 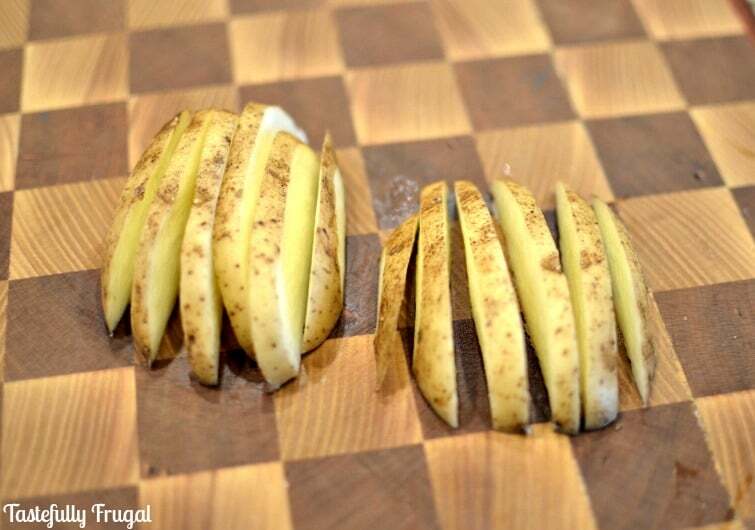 Then I found this great way to cut potatoes into fries and I’ve never turned back. 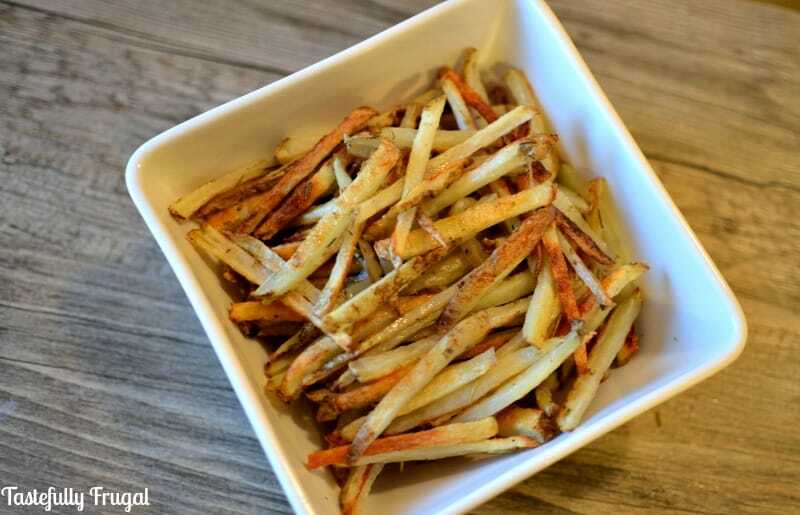 It’s super easy and makes for not only delicious fries, but good looking ones too! 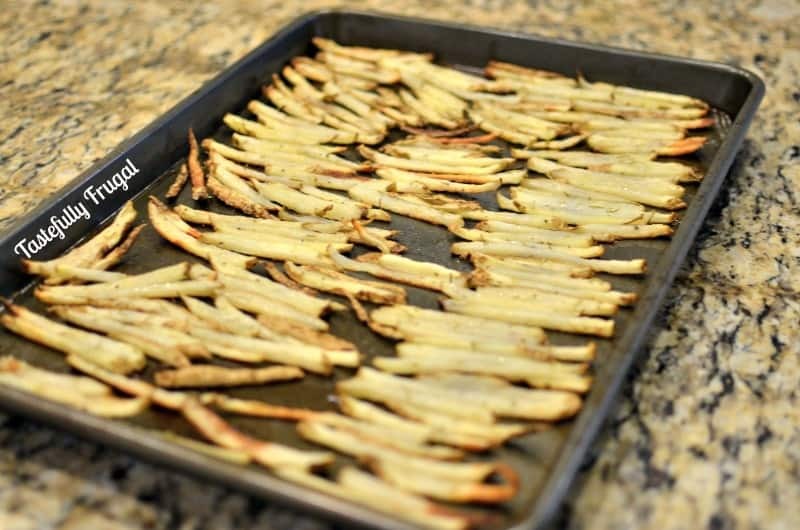 I also thought I’d share my go-to fry recipe; because why have a post about french fries without actual fries in them, right?! This is one that we eat at least once a week! They aren’t your traditional greasy, salt packed fry; in fact they have very little salt. They are packed full of flavor and make a great side dish to any meal. 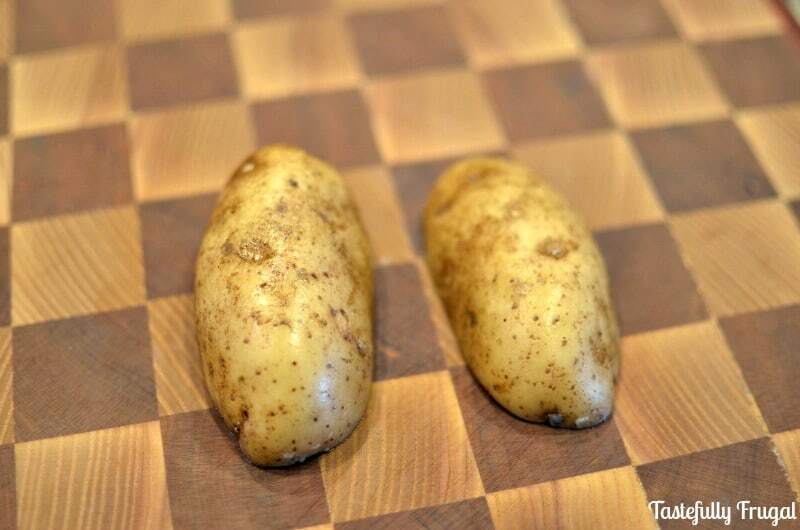 1- Start by scrubbing and rinsing your potato well. 2- Cut the potato in half vertically. 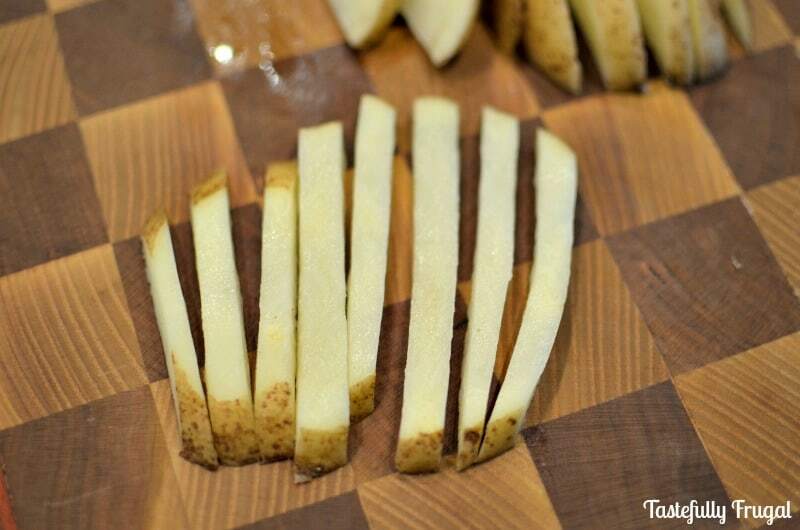 3- Take one half of the potato and and cut vertical strips about 1/4″thick. Repeat with other half. 4- Lay 1/4″ pieces flat on cutting board and cut 1/4″ strips vertically again. Repeat with all other pieces. 5- Rinse all pieces in water again. In a ziploc bag combine oil, rosemary, oregano, garlic powder and salt. Put fries in bag, seal bag and shake well to coat (30 sec-1 min). 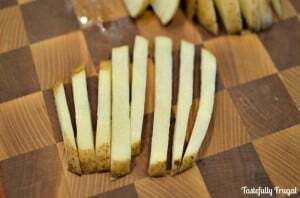 On a greased baking sheet, spread fries out in one even layer. Bake for 20-25 minutes until edges are golden brown. You don't want to over bake or they will turn out crispy. Don’t these just look good! Rosemary is one of my favorite spices to cook with so it’s no wonder I like these so much! And if you’re looking for more side dish inspiration check out my Side Dish Board on Pinterest. Follow Tastefully Frugal’s board Side Dishes on Pinterest. 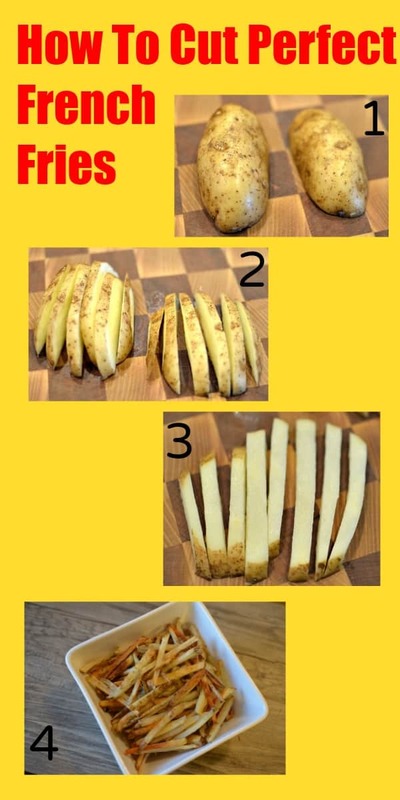 I needed this tutorial…totally not how I cut fries But I’m going to start doing it your way, Sydney! I have to try your recipe! The seasonings sound delicious! I sometimes do a medley of veggie fries… potatoes, carrots, sweet potatoes and parsnips! Hope your weekend is going great, friend! Thank you so much Kendra, you are so sweet! Your veggie fries sound so good and healthy! I’m going to have to try them! 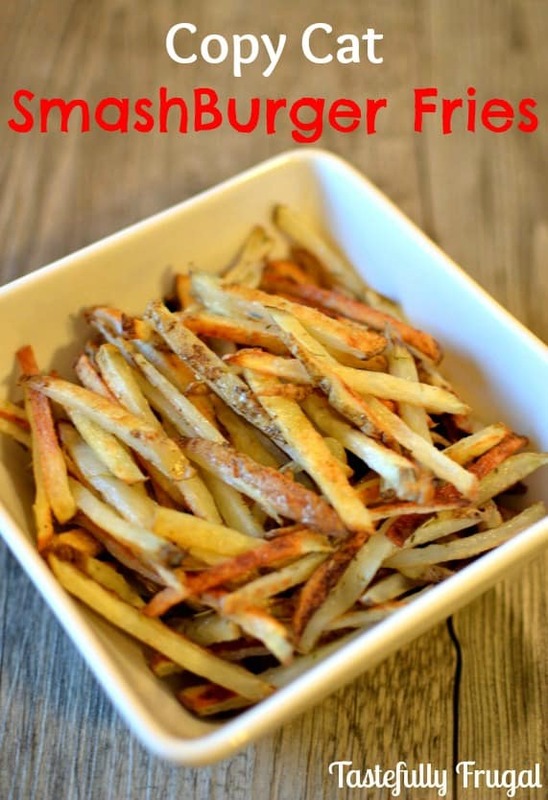 I love Smash Burger’s fries! Now I can make my own! 🙂 Thanks so much for sharing this awesome recipe, Sydney! Thanks so much Amy! Smash fries are definitely my favorite too! Thank you Jenna. I definitely preferred baked over fried fries now! I love making homemade fries, thanks for the tips. Thank you for sharing with Tasty Tuesdays! They are my favorite too! Thanks for hosting Jen! French fry cutters resemble cheese graters, although they are exclusively designed to handle potatoes. I was more than happy this great site. 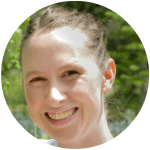 I have you bookmarked to see new information on your blog.